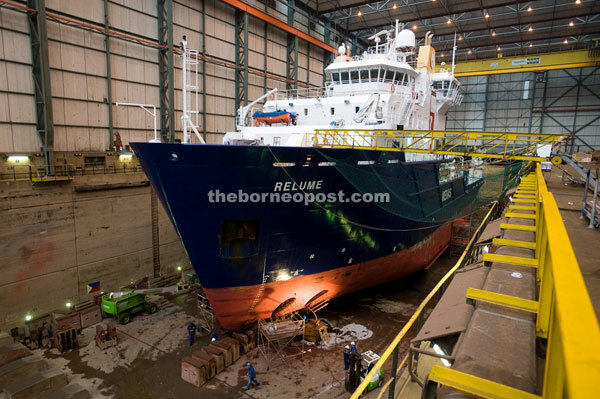 SIBU: The shipbuilding sector here has recorded an increase in the number of workplace fatalities, from one case last year to four cases for the first quarter of 2019. From the four cases recorded this year, three involved working in confined spaces and one was related to a work-at-height incident. The fatality recorded last year also involved a worker falling from a height. Department of Occupational Safety and Health (DOSH) deputy director-general (Occupational Health) Saiful Azhar Mohd Said pointed out that in this context, the issue related to occupational safety and health (OSH) in shipbuilding and repairing industry needed to be taken seriously and should not be ignored. Hence, he added that the workshop to develop generic HIRARC (Hazard Identification, Risk Assessment, Risk Control) for Sibus shipbuilding industry under the compliance support was a good starting point to elevate the level of OSH in the industry. As you are aware lately, we are quite concerned with the (number of workplace) accidents in shipyards here. Last year, there was one fatality but there were four fatalities for the first three months of this year. The department is viewing the rate of accidents in the shipbuilding sector in Sibu seriously and has devised this workshop to prevent the recurrence of workplace accidents in this sector, Saiful Azhar told a press conference after officiating the workshop at Premier Hotel here today. The workshop was jointly organised by DOSH Sarawak and Sibu Shipyard Association (SSA), which attracted some 50 participants. It was divided into three sessions, namely the Dos and Donts, working in confined spaces, working at height and electrical safety. Meanwhile, DOSH Sarawak director Dr Nor Halim Hasan revealed that from the nine fatalities recorded in Sarawak this year, four were from Sibu. The four (fatalities) from Sibu were related to shipyards while the other five (fatalities) were from various sectors, he explained. To a question, Nor Halim said the investigation was still on-going for the four fatalities here, which involved foreigners. Fatal accidents in shipbuilding industry up fourfold in first quarter of 2019 Borneo Post Online.